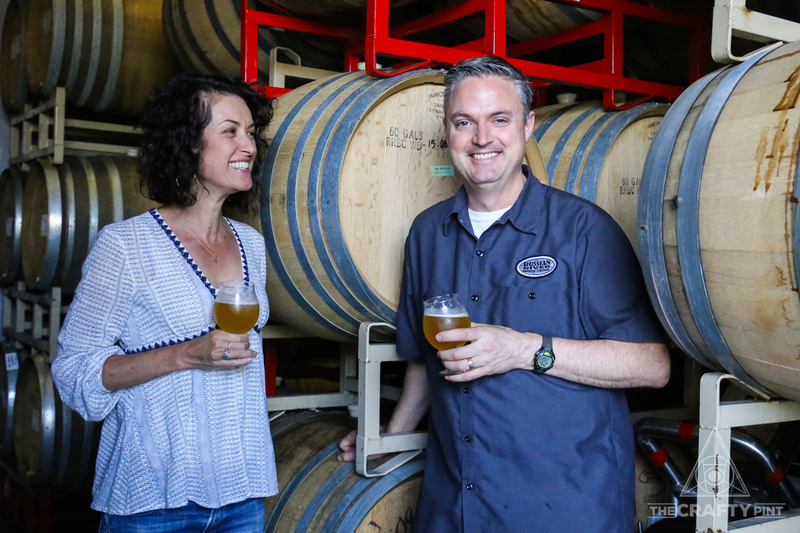 To meet Vinnie and Natalie Cilurzo of Russian River Brewing Company, you would have little idea of the myth and excitement that surrounds them and their world standard beers such as Pliny the Elder. As Kerry McBride finds during a chat with Natalie, they’re just like any husband and wife brewery team you might meet – getting on with the job and making damn good beer while they’re at it. The night I visited the Russian River brewpub, there was a powercut that left most of 4th St, Santa Rosa in darkness for almost an hour. Despite the pub being filled to the brim with beer lovers keen to try some of the world’s most renowned beers, nobody batted an eyelid. Instead, phone torches were turned into table lamps and everybody continued on their merry way, sampling tasters of Pliny the Elder, Damnation and whatever else caught their eye. Behind the scenes, staff urgently called owner Vinnie Cilurzo, who raced down to the brewpub to check the glycol levels on their precious tanks and make sure the beer was OK. Once the power was restored, he emerged at our table with a pilsner in hand, to make sure we were OK too. For him to duck over and check on their Australian guests when his whole brewery was in darkness proved something that had been apparent during our earlier visit with his wife Natalie – Russian River is Vinnie and Natalie, and no matter how popular or big the brewery gets, they’ll always be the first ones on call. Natalie and Vinnie at the Russian River production brewery. Started in 1997, Russian River Brewing Company first came to life as a beery new venture for Korbel, a Californian winery. Thanks to his growing reputation with his own brewery Blind Pig, Vinnie was brought on as brewmaster, and was given the freedom to explore everything from double IPAs to barrel aged sours – both rarities in the local beer scene at the time. After six years, and a swag of awards for brews such as their Blind Pig IPA and, of course, Pliny the Elder, Korbel opted to close their brewing facility. 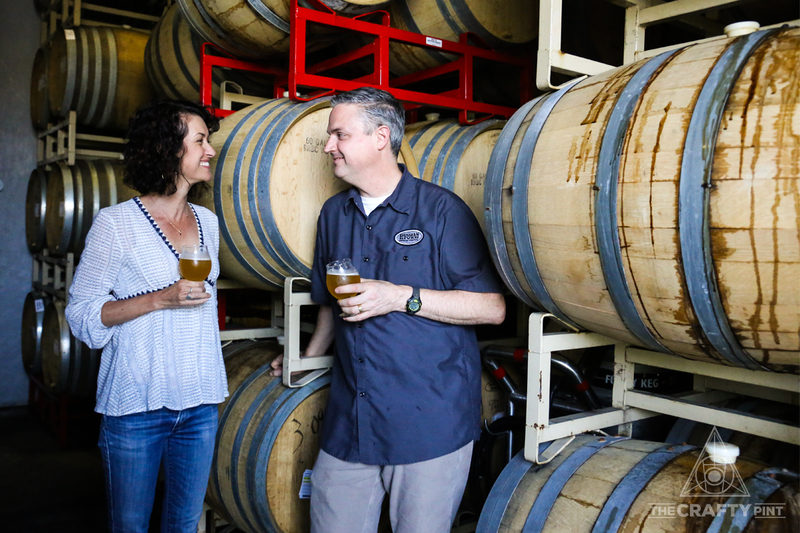 Seeing the value in the Russian River brand, Vinnie and Natalie negotiated to keep the brewery name and intellectual property including the recipes, rather than take severance. By 2004, they had rallied $750,000 in investment from friends and family to reopen in Santa Rosa under the Russian River name, and the next phase of their life had begun. Holding on to that brewery name made all the difference, says Natalie, as she shares a beer in her office at their Sonoma County production facility. “The Russian River itself is so iconic, so we saw the giant value of holding on to that, rather than trying to start Vinnie and Natalie Brewing Company or something like that. “Even during the Korbel years, it felt like it was ours, and it was destined to be. Luckily for us, Korbel clearly felt the same,” she says. “It was also an established brand that had won awards already. We’d won awards for Pliny the Elder, for [golden ale] Damnation, and for [chardonnay barrel aged sour blonde] Temptation. Despite early successes at a time when brewing double IPAs and Belgian beers – not to mention their exploration in sour beers and barrel ageing – was a rarity in the US, it took a few years for the pair of them to feel like they were onto something special. “It wasn’t until a couple of years after we opened that we realised we actually weren’t going to close,” Natalie says. 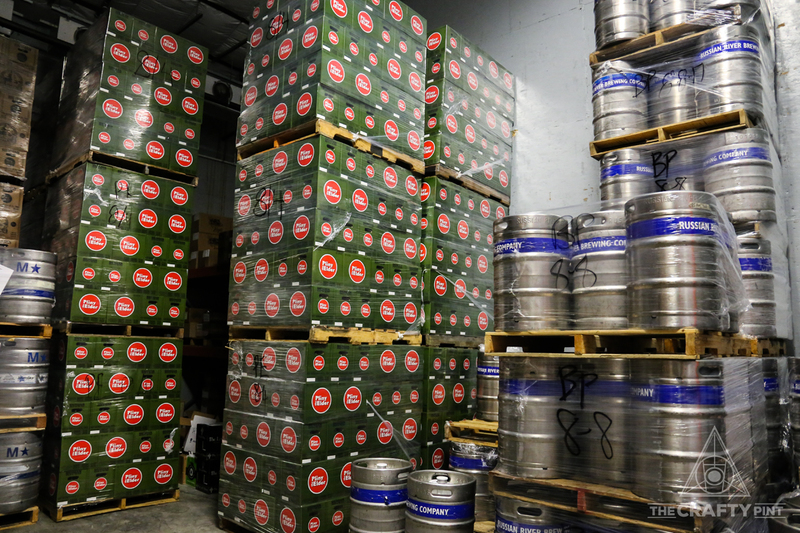 Stacks on stacks - Pliny the Elder makes up 65% of production. The advent of social media and beer blogging changed the game for breweries, turning beers and breweries into overnight sensations, Natalie says. “With BeerAdvocate and RateBeer and all of those, suddenly we all had the ability to communicate with like minded beer enthusiasts around the world in a moment,” she says. “You could go to your favourite brewery and tell people that you just bought ‘X’ and it’s the best beer you’ve ever tasted. You rate it 100, and someone in Germany or the other side of the United States can suddenly read that. Named after the Roman historian Pliny the Elder, and his nephew Pliny the Younger, the two beers had quickly become local beer legends. 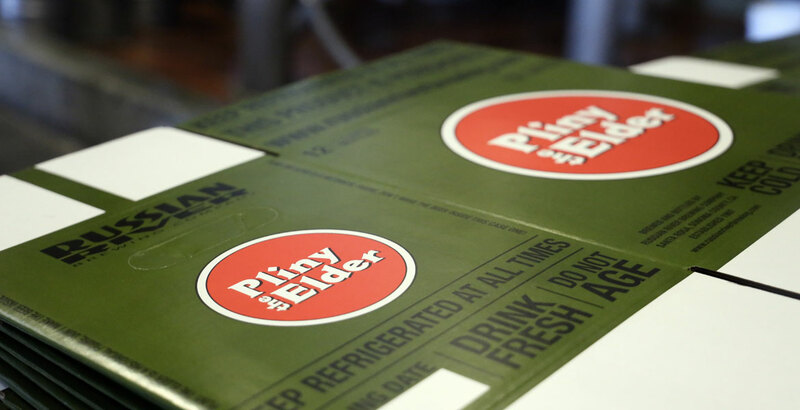 Taking influence from Pliny’s writings on hops, Elder laid the groundwork as one of the first double IPAs commercially available – after Vinnie’s own Blind Pig IPA, that is. For the Younger, Vinnie and Natalie veered away from the natural inclination to make a smaller version, instead amping things up, creating an imperial IPA that came in at a whopping 11 percent ABV. First released in 2005 as a winter seasonal, it would later go down in the annals of Russian River history, thanks to a couple of rating websites and some incredibly eager beer fans. Following the 2009 release, Younger had crept up the international beer ratings on both BeerAdvocate and RateBeer, unbeknownst to either Vinnie or Natalie. By the time October 2010 rolled around, it was one of the most sought-after beers in the world and, on release day, a queue had formed outside the brewpub by 7am – a first for Russian River. “Until that first Friday of October in 2010, we’d never had a line outside our brewery,” Natalie says. “We’d never had a need for a line so it really caught us off guard. Vinnie went out there at about seven in the morning and asked all these people what they were doing, because we weren’t open for four hours. “They all said they were there for the ‘big release’ and Vinnie was just like, ‘What are you talking about? !’ It was the weirdest thing. The people in line had to tell Vinnie that his beer had been rated the best beer in the world by two different websites. He had no idea. That's a paddlin' - Russian River's 20-strong tasting paddle at their Santa Rosa brewpub. Yet the day was only just getting started. Over the next four hours, the line got longer. The carpark filled up with people waiting for the doors to open, and by 11am there were hundreds of people waiting to get inside. “But we didn’t know to hold the doors back then, as we’d never had this experience before, so we just threw those doors on open at 11 like we usually do,” Natalie says. Over the next few hours, they sold through two 20-barrel batches of Younger. Natalie, fresh off of knee surgery, spent nine hours pouring beers, while Vinnie filled growlers all day long. “We were selling growlers and limiting it to four per person, and every single person who came in ordered a half pint of beer and four growlers. Every single person." Every staff member on a day off and every family friend was called in to help, and they all stuck it out for as long as it took. “I’d say by 11.15 that morning we’d already decided every single thing we were going to change for the next year, and the first thing to go was growlers," Natalie says. “We filled 815 growlers that day. That’s 100 an hour. All I did was stand at the bar, I just filled glasses and growlers. I couldn’t move because of my knee. I remember I had some nice new jeans on, and they were soaked, absolutely soaked, in Pliny the Younger. While they’ve got it down to a fine art these days, that first Younger day remains fresh in the mind for all the staff, and ‘Younger anxiety’ is a very real thing, Natalie says. But the Plinys only tell one part of the story. 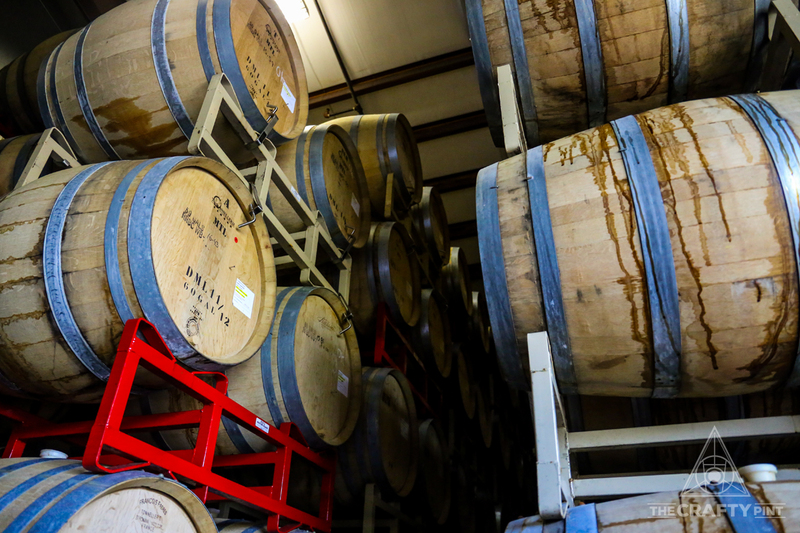 Russian River is also home to more than 600 barrels and, at any one time, one-tenth of its inventory will be sitting in either bottle or barrel as it conditions. Just a few of Russian River's 600+ barrels. Vinnie was one of the first American brewers to play with barrel ageing, even before he took up the role at Russian River. 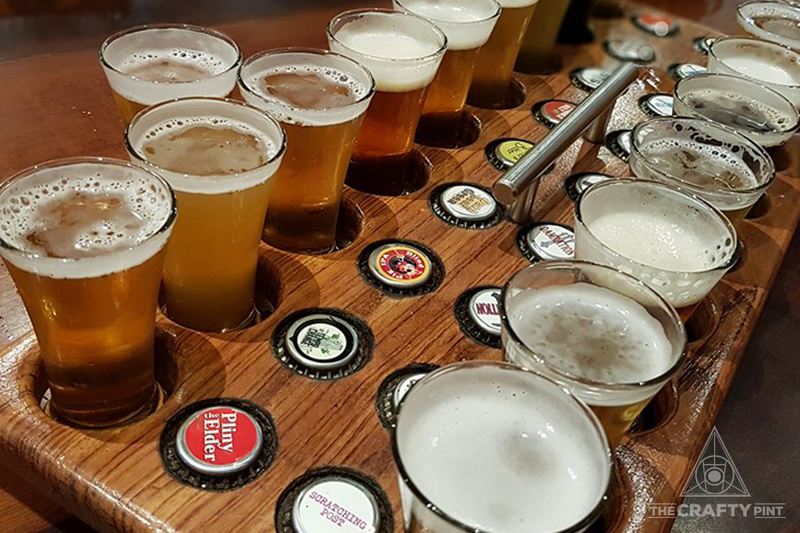 These days, their barrel ageing program includes Beatification, their spontaneously fermented sour; Consecration, a sour dark ale; their award winning sour blonde Temptation, and other beers named in a similar fashion. “Back when we started making sour beers, the only markets really interested in them were Philadelphia, interestingly,” Natalie says. “At that time, it was more of a hard sell. A lot of people who had traveled abroad and been to Belgium understood, but for the most part they were a bit weird for people. For a while it was just us, New Belgium and Lost Abbey making sour beers. That production is now up to around 16,000 barrels a year – almost 19,000 hectolitres. Of that, Pliny the Elder makes up about 65 percent of production. Yet, even with a new production brewery due for completion in 2018, there is little chance we’ll be seeing Russian River on shelves in Australia any time soon, Natalie says. 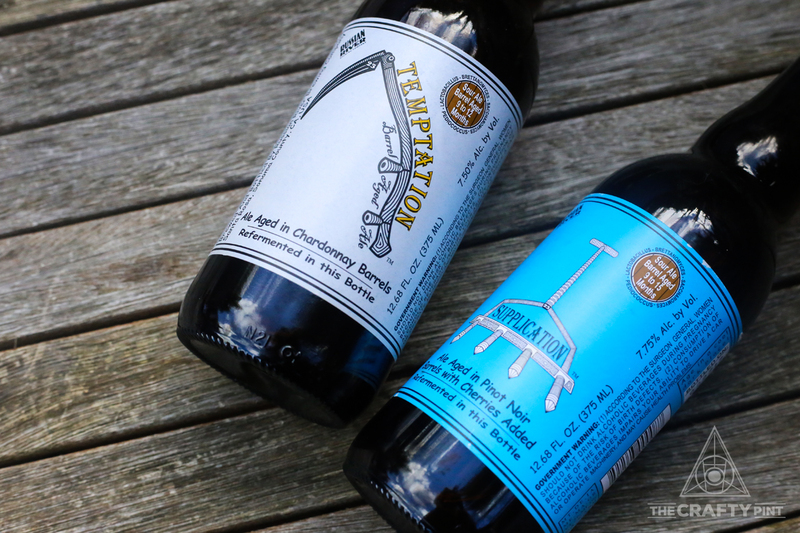 Two of Russian River's barrel releases - Temptation and Supplication. Instead, the new brewery will enable them to meet the demand throughout California, and potentially fill a few gaps. Quite simply, international distribution is not on the cards. “There are a few reasons, but the first reason is quality,” Natalie says. “Why would you even consider putting your beer on a hot ship and shipping it overseas when most of the beers we make should be drunk fresh? It’s really about quality, and the last thing we would do is send beer to your country that has been sitting in a container on a ship for two weeks. The expense and loss of control over their product have also dissuaded the pair from considering international distribution, she says. “The closer you stay to home the less expensive it is to sell your beer, and to control it. The further away from home you get, the less control you have over your product. We’re just too small to take that risk. They adhere to that so strongly that, on a guest visit to the Australian National Homebrewing Conference in 2014, they considered pulling Pliny the Elder from the conference if it hadn’t stood up to the boat trip. They tasted it, considered how excited the local brewers were to try it, and let it go ahead with the disclaimer that it wasn’t at its best, at a month old. Quality, quality quality - Natalie and Vinnie's number one priority. And so, it becomes clear once again just how much this brewery is about the pair of them, and nobody else. They aren’t here to take over the world, or get their beer into the hands of every beer lover, no matter what. They just want their beer to taste the best as it can at all times, which means keeping it local, and keeping it fresh. Which also means Australians will have to keep shepherding beer home in their suitcases. “For Vinnie and I, Russian River Brewing Company is synonymous with Vinnie and Natalie, and we have our name all over this brand and this company," she says. “No offense to anybody in any of these amazing, beautiful places all over the world who love our beer, but we just can’t stomach the idea of sending you bad beer. But I'm glad you get some bootlegs!" About the author: Kerry McBride is a reformed newspaper journalist who has taken the well-trodden path from Wellington to Melbourne. Her love for bad puns is matched only by her love of hoppy beers and Hallertau Funkonnay.